Sales of Virginia wine reached another record high during fiscal year 2016, with more than 556,500 cases, or over 6.6 million bottles, sold. These sales represent a 6 percent increase from fiscal year 2015, when Virginia wineries sold more than 524,800 cases. Sales of Virginia wine have increased by 34 percent since fiscal year 2010. For the second year, the Virginia Wine Marketing Office tracked Virginia cider sales separately from Virginia wines, and the results reflect explosive growth. During fiscal year 2016, more than 416,750 cases of Virginia cider were sold, an increase of more than 52 percent over fiscal year 2015, when more than 273,250* cases sold. Virginia cider sales are increasing in all market segments, including direct sales, as well as national and international distribution. National industry analysts expect continued solid growth in this sector for the next several years. According to figures from the Virginia Wine Marketing Office and the Virginia Department of Alcohol Beverage Control, total sales of Virginia wine amounted to more than $2 million in wine liter tax collections during the fiscal year ending June 30, 2016. Virginia wine sales at wineries increased 7.3 percent over the previous year, up by more than 25,500 cases. Visitation to Virginia wineries increased as well, to over 2.3 million in 2015, according to the Virginia Tourism Corporation. Furthermore, wine sales at Virginia ABC stores grew by almost 10 percent in fiscal year 2016, to a total of 13,000 cases sold. Vineyard acreage in the Commonwealth also saw increases in 2015, with nearly 8 percent growth compared to 2014. Wine grape production similarly increased by almost 8 percent during that same period, from 3,569 tons of fruit used to 3,844 tons. Non-bearing acres or new plantings that are not yet bearing fruit increased 58 percent, from 425 acres to 672 acres, which is a strong indicator of continued future growth in this sector. Virginia currently ranks fifth in the number of wineries in the nation with more than 285. Virginia is also the nation’s fifth largest wine grape producing state. Currently, Virginia is sixth in the nation for number of cideries. According to a 2012 economic impact study, the Virginia wine industry, including the Virginia cider industry, employs more than 4,700 and contributes almost $750 million to the Virginia economy on an annual basis. 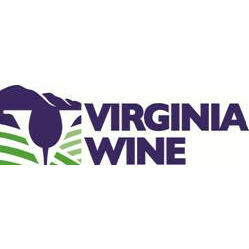 For more information about the Virginia wine industry, please visit the Virginia Wine Marketing Office’s website at www.virginiawine.org or call 804‐344‐8200.